Had a dim sum lunch date with the wife Thursday. Philly’s Chinatown is just a few blocks north of the Olive Garden, so since I was in the area, I decided to grab some takeout and save it for dinner. 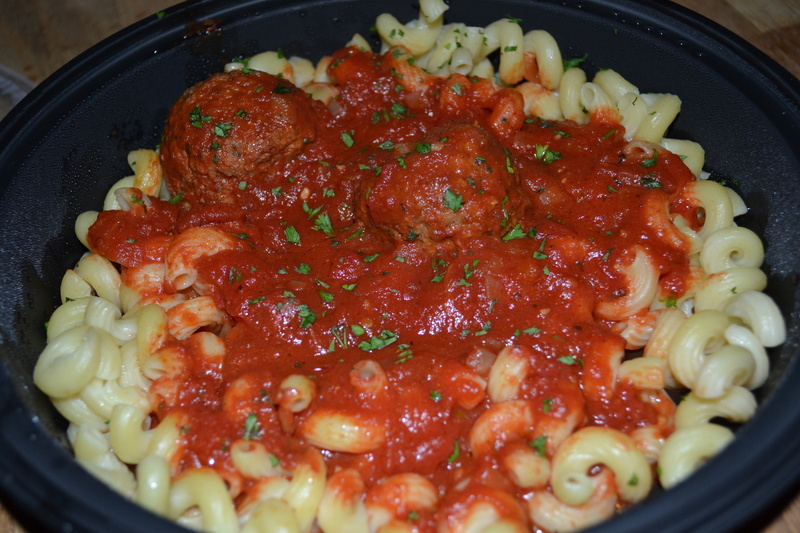 Cavatappi, marinara and meatballs. On the way to the OG though, the wife wanted to stop by Reading Terminal Market for some sweets and produce.